The Bihar chief minister was responding to queries about the scam, wherein crores of rupees were fraudulently transferred into the accounts of NGOs. Toilet Scam: Nitish Kumar said strict action will be taken against all those who are found guilty. 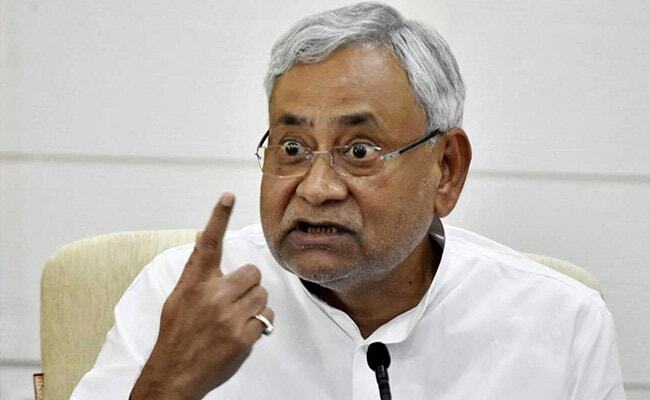 Patna: Bihar Chief Minister Nitish Kumar today made it clear that the guilty will not be spared in the recently unearthed multi-crore scam in construction of toilets in the state. "The guilty will not be spared. Strict action will be taken against all those who are found guilty of having embezzled public money. This has been our policy", Mr Kumar said. The Bihar chief minister was responding to queries about the scam, wherein crores of rupees were fraudulently transferred into the accounts of NGOs. A number of persons have been arrested in connection with the alleged irregularities so far. The chief minister also said "we have always been very cautious about claims made with regard to sanitation. Recently, a proposal had come from Sasaram to declare the district ODF (open defecation free). But we decided to first verify the claim through a third-party, independent agency". Replying to another query, the chief minister, who was speaking in the presence of state's DGP P K Thakur, said "no complainant should be asked to bring along stationery at a police station for lodging of a complaint. We have allocated separate funds to the police stations for the purpose. If any police official is found to be violating this rule, he must face strictest possible action".